Combines all the proven reliability you've come to expect from an SPD Gas Spring along with the added feature of a nitride shaft. 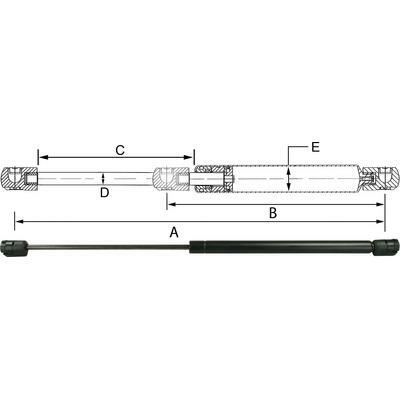 The GSNI Gas Spring incorporates a strong annealed steel rod with a Nitride coating for added corrosion resistance, especially when used with the all composite PS130 end fitting. This gas spring is an ideal choice where exceptional quality, combined with an overall black appearance, are important for your application.